Oleksandr Kuts is a Major-General of the Security Service of Ukraine (SBU). President Petro Poroshenko appointed SBU Maj-Gen Oleksandr Kuts the chairman of the Donetsk regional military-civil administration and introduced him to his office during a visit to Kramatorsk on 22 June. Kuts is 41 years old. He has headed the SBU main directorate in Donetsk and Luhansk regions since August 2017. Before this he was in charge of the SBU directorate in Donetsk Region. In 2014-2015, he was a deputy head of the SBU main directorate in Kyiv and Kyiv Region. In 2009-2014, he was a deputy head of the main department for fight against corruption and organized crime in the same directorate. 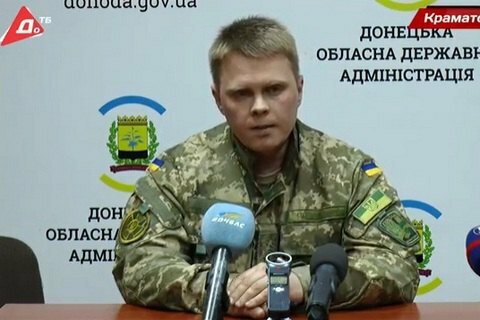 Poroshenko dismissed Pavlo Zhebrivskyy from the post of the chairman of the Donetsk regional military-civil administration on 13 June 2018. He was appointed an auditor of the National Anticorruption Bureau of Ukraine.